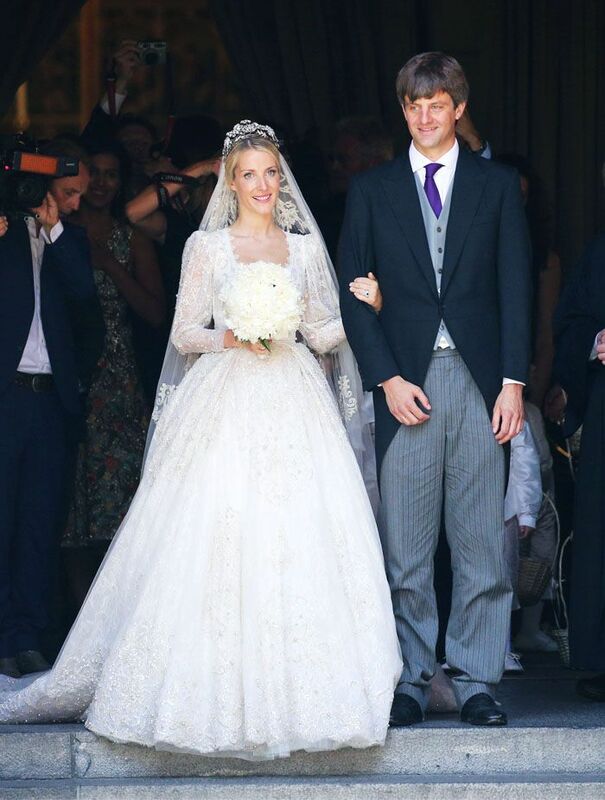 Nothing gets a nation excited quite like a royal wedding, and this weekend, Princess Ekaterina of Hanover got married in the ultimate Cinderella gown. The Princess married Ernst August, Hereditary Prince of Hanover, at the spectacular Marktkirche in Hanover in front of 600 people, and she wore a dress that looked like it came straight out of a Disney fairy tale. The gown was a wedding gift from her friend, Sandra Mansour, a Lebanese fashion designer. It's a traditional princess gown with lace sleeves, a fitted bodice and a full skirt, with hand-stitched pearl embroidery, delicate Chantilly lace and a sweeping veil. It's a dress that is certain to explode on Pinterest. The designer tells Who What Wear UK that the dress was inspired by "Russian floral motifs—we really wanted to highlight Ekaterina's Russian heritage." Sandra reveals it took 10 months to create the dress and four months to embroider the dress with thread and pearl details. Scroll below to see the princess gown below. Next up, see the 10 wedding dress styles every bride loves.